Going to work every day is tough enough. Most of us want to sleep in instead of getting their one time. But, the situation at work shouldn’t make things worse. Supervisors that abuse employees shouldn’t be tolerated. Discrimination and torment should not be common place. Without the proper top-down approach to behavior and tolerance in the workplace, situations giving rise to employment litigation are inevitable. Workers are provided protections from unfair practices under the law. Employees deserve experienced legal representative when illegal and unfair practices are encountered. A commercial litigation attorney may be what you need. The attorneys at the Law Offices of Mynor E. Rodriguez P.C. bring a unique perspective to this legal area. With over 25 years of combined experience, our attorneys have seen a great deal in this area. We have a history of success and the ability to see the big picture in each situation. When an employee’s rights have been violated, their employer should be held accountable under the law. Hiring a lawyer may not be your first choice, but it may be your only choice. You may have no other way to get the justice that you deserve. The employment litigation attorneys at the Law Offices of Mynor E. Rodriguez P.C. take a proactive, aggressive approach to every case. 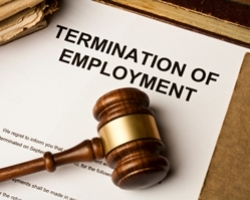 If you are unsure whether you have grounds for an employment lawsuit, contact us today. Our attorneys can evaluate your case and advise you on the best way to proceed. Contact us today.